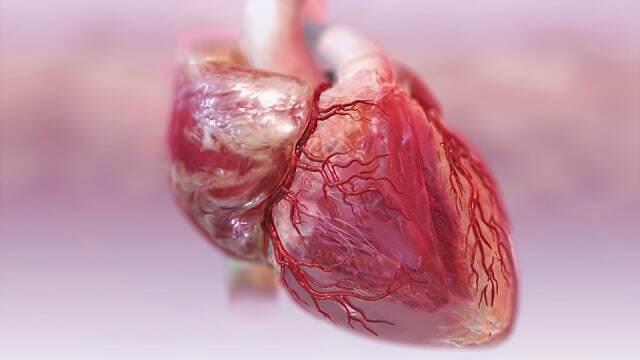 This is was created to show blood flow in the chambers of a beating heart. In this case, we chose to make the flow subtle and not too overpowering. The camera moves around the heart to allow for multiple views. We’ve also added transparency to the outside bottom portion of the heart to show the mitral valves in action; the aortic and pulmonary valves can also been seen from some angles.